Francie Milano Kitchens Inc is a full service kitchen and bath design center on Long Beach Island featuring widely recognized Wood-Mode and Brookhaven cabinetry. We offer an extensive selection of wood species, specialized finishes and door styles as well as the latest choices in counter surfaces including marble, granite, quartz, Corian, and beautiful wood tops to name a few. We understand the challenge of making so many decisions, and we guide you through that process ensuring the end result is one that will be beautiful, functional and easily maintained. Francie Milano, CKD is the primary designer. She has over 30 years of design experience, and has been creating beautiful kitchens and baths for almost 20 years. Born and raised on Long Beach Island, Francie has a wealth of knowledge regarding shore living. 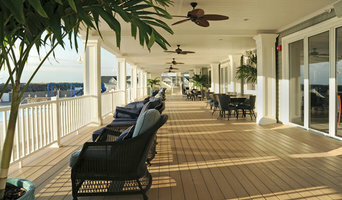 Designing for summer entertaining and environments of salt air and high humidity all require special consideration. Francie's designs, reflected in kitchens throughout the country, have been published in national magazines. She is well respected in her field and has built her business by word of mouth. She works closely with your architect, builder and other trades to assure you a smooth and perfect job. Bath, Kitchen and Tile Center has been specializing in Kitchen and Bathroom remodeling for customers throughout Delaware, Pennsylvania, New Jersey, and Maryland for over half a century. As a full-service Kitchen & Bath company, our in-house staff provides everything you need for a new kitchen or bathroom including cabinetry, countertops, appliances, tile, bathroom fixtures, sinks, knobs and everything in-between. Our full-service promise includes handling the entire installation process with our in-house installation team that does everything down to the electrical, carpentry and plumbing work. Beyond a full-service retail offering, we also offer our products in a supply form to independent contractors, homebuilders, and commercial projects. We offer cabinetry from industry leading brands including Timberlake, Decora, Crystal, Yorktowne, Marsh and many more. Our appliance selection includes GE, Monogram, Sub-Zero, Wolf, BEST, Asko and Broan NuTone. Bath, Kitchen and Tile Center proudly operates our own countertop shop locally in Newark, Delaware to fabricate your granite, Cambria Quartz, laminate, and Corian Solid Surface Countertops. Serenity Design provides a warm and relaxing atmosphere in which homeowner and designer can meet and collaborate to create new spaces that truly reflect the owners’ feelings and taste. Serenity’s experience, as well as reputation, has consistently exceeded the needs and wants of its clients. *Open by appointment only! Please call! * Located in Greenwood, Delaware, we have been designing and installing beautiful kitchens on Delmarva for over 20 years. We believe our experience will speak for itself! Mike will personally meet with each customer to design the kitchen of their dreams, using quality cabinets from Medallion Cabinetry. We are a hands on company, we use qualified subcontractors whose work is carefully monitored throughout the entire project whether a new kitchen or remodel. Mike will personally be available to respond to your questions. We strive to provide small town, personalized service and professional installation of the products we sell. Be sure to visit our Facebook and Houzz pages to see what’s new. We’d love to have you leave feedback and share your photos on our Social Media pages. For over 56 years, Giorgi Kitchens & Designs has been recognized as one of Delaware’s most prestigious design firms, specializing in complete kitchen renovation/new construction projects and complete master bath renovation/new construction. We are proud of our history of serving the Brandywine Valley under the leadership of the Giorgi Family. Since 1991, Euro Line Designe has provided high-end custom cabinetry to discriminating homeowners, architects, interior designers, builders and developers from New York to Florida. A 100-year-old “Contributing Structure” to the historic district of Somers Point, New Jersey is home to our bay front showroom where we have two floors of beautiful cabinetry displays with price points for every buyer. We at Euro Line Designe think design should be exciting but simple and something that is well done is never overdone. Having been in the business in this area for almost 30 years our experience in the kitchen and bath field forever pushes us to strive for better aesthetics and function. Peter Pepper once said “Anything worth doing is worth doing insanely, obsessively, fanatically well.” That is our goal and if we are lucky enough to work with you we will honor that cause and hope to keep you as a friend. George Phippin, a Vietnam Navy Veteran opened his company in 1974. 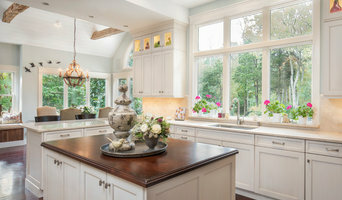 Ever since then Phippin's Cabinetry & Renovations has been "Making Our Customers Feel At Home". Phippin's specializes in giving each job the quality workmanship and personal touch our customer's have come to depend on. You will begin your project with the comfort of knowing that you will be kept aware of the remodeling process and that your salesperson is always accessible to you on a daily basis. We can take your ordinary outdated kitchen or bathroom and with our in-house staff of professional designers, assist you in growing your ideas into a reality. 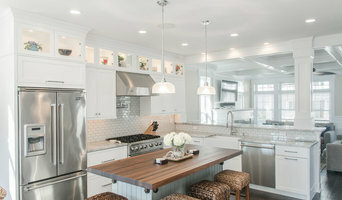 Cindy Kelly Kitchen Design has been providing high end design and project management for over a decade From a kitchen in a newly constructed beach home, to a remodeled bathroom in a 20 year old colonial, Cindy Kelly Kitchen Design has designed it all. No matter what area of your home you are working on, we help you design your personal space to fit your lifestyle. We carefully coordinate the aesthetic elements such as cabinet finishes, counter surfaces, appliances, fixtures and hardware for a space that is truly unique. The possibilities are infinite. Cindy Kelly, AKBD is the primary designer and will work with each client from the start of their project and will follow through with them to the end. She works closely with builders, architects and other trades to help the job stay on the right track. If you are just looking for design services and no product, we have an hourly rate that is used to for consulting. The company is based on the belief that our customers needs are of the utmost importance. As a result, a high percentage of our business is from repeat customers and referrals. While others tell you what you need, we listen to what you want. We would welcome the opportunity to earn your trust and deliver you the best service in the industry. We are a full service kitchen and bath design center with a wide range of products: cabinetry, countertops and backsplash, hardware accessories, sinks and faucets, mirrors and medicine cabinets, lighting and fans, Murphy Wall-Beds, accent furniture and more! We are licensed and insured to do everything from demolition and installation. Our cabinets are NKBA and KCMA certified and we are members of the NKBA (National Kitchen & Bath Association). We are located inside Kensington Furniture's Home Marketplace. Stop in to see our kitchen and bathroom displays, granite and quartz countertops, cabinet selections, sinks and faucets, hardware accessories, and more! Give us a call to start up your next project! Universal Cabinetry Design is a leader in providing value-added design and construction services to our customers by creating a successful partnership with them throughout the entire process. Our pledge is to establish lasting relationships with our customers by exceeding their expectations and gaining their trust through exceptional performance by every member of our team. Island Kitchen and Bath by Tri County is offering quality cabinetry products by KraftMaid Vantage, CWP, Fairmont Designs, Atlantis Outdoor Cabinetry, Candlelight, Kith, Fabuwood, Schrock Trademark, Decora, Entra, Contractor Choice and KitchenCraft. From standard to custom, we offer a design to fit every budget and lifestyle. Each cabinet line in our family of brands provides the same great service, product innovation and quality. Whether you have plans, or you needs us to come measure and design, we will work with you to insure that your dream kitchen becomes a reality. JMADesigns is a full-service kitchen and bath design business. From concept to completion, from drawings to contractors, we provide personalized service for each client. We specialize in condo redesign and remodels as well as primary residences. What does a Stone Harbor kitchen designer or bathroom designer do? A kitchen and bath design professional in Stone Harbor, NJ knows to take all of these crucial points into consideration and can help plan the layout, materials and overall look and feel of either of these rooms in your home. Kitchen designers, as well as bathroom designers, are constantly staying on top of trends in the ever-changing industry. The designer also knows the best layout for your room, and can configure the layout for optimal functionality and utilization of the space. In the kitchen the refrigerator, stove and sink should be laid out in relation to one another, and it should be seamless and easy to move from one to the other. A Stone Harbor kitchen and bath designer will know how to work with a contractor and architect to plan the flow of the room to work best for your needs. Here are some related professionals and vendors to complement the work of kitchen & bath designers: Kitchen & Bath Fixtures, Appliances, Tile, Stone & Countertops, Cabinets & Cabinetry, Woodworkers & Carpenters. Before you talk to bath and kitchen designers in Stone Harbor, NJ, consider how you will use the room. For your bathroom, is it necessary to have a bathtub for bathing kids or pets, or would a shower suffice? Perhaps all you need is a half bath for downstairs or a smaller guest bath for occasional use. Similarly, for kitchen renovations consider your cooking habits. Do you eat out every night but need a space to entertain in? If so, a smaller kitchen might be fine for you, with a space devoted to wine storage or a bar, whereas others might prefer a bigger stove or extra cabinets. When interviewing Stone Harbor kitchen and bath designers, make sure to share these habits so they can best fit the room to suit your needs. 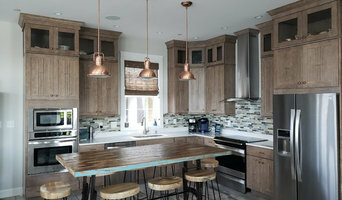 Find a Stone Harbor kitchen designer or bathroom designer on Houzz. Narrow your search in the Professionals section of the website to Stone Harbor, NJ kitchen and bath designers. You can also look through photos in Stone Harbor, NJ to find a kitchen or bathroom you like, then contact the professional who designed it.